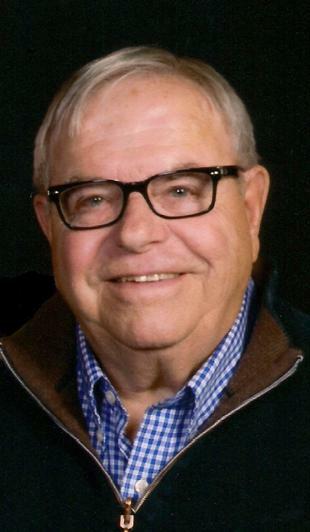 Visitation for Leo Esget will be 10-12 on Saturday, December 1, 2018 at Swanson-Peterson Funeral Home of Cokato. Interment will follow visitation at the Ellsworth Township Cemetery, South of Darwin. Leo Esget fell asleep in Christ on Thursday, Nov. 22, 2018, at St. Vincent’s Hospital in Hot Springs, Arkansas, after a brief illness. Leo was born in Minneapolis, MN on Feb. 5, 1942, to Clarence and Bernice (Anderson) Esget. He was baptized in the Lutheran Church. He married Eileen Sellen on Jan. 9, 1965 at St. Peter’s Lutheran Church in Ellsworth Township, MN. He served in the U.S. Army Reserve from 1966 to 1972 (4th Tank Battalion of the 33rd Armor Regiment). Leo was a devoted and sacrificial husband, and loving father and grandfather to their children Christopher (wife Kassie and grandson James) and Emily, all of whom survive him. Leo owned Parkway Tree Service in Minneapolis, MN for forty years. He labored tirelessly every day of his life. He loved automobiles, and restored to perfection many classic cars from the 1950s, along with several Corvettes. He could fix anything and kept a spotless garage.